"These are God's young warrior's - our children and grandchildren. 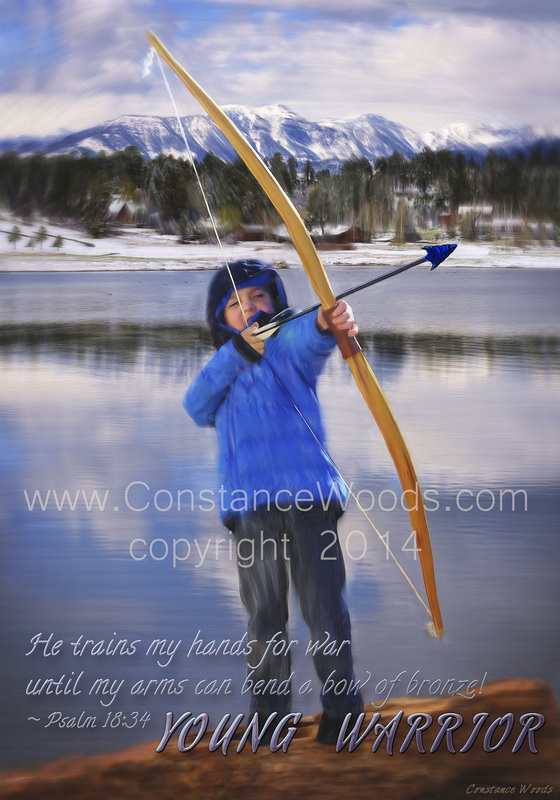 This is my 5 year old grandson, shooting with a Bodark wood bow that our son hand crafted. “For who is God but Adonai? Who is a Rock but our God? he makes my way go straight. and enables me to stand on my high places. until my arms can bend a bow of bronze;"